Anuj Jain is Vice President Automotive Strategy at Bosch Mobility Solutions and is based in Stuttgart, Germany. In previous roles, he worked with Bosch Connected Devices and Solutions (BCDS) and Bosch Software Innovations, business divisions that focus on multiple IoT initiatives within Bosch. Over the past decade, Anuj has acquired a wealth of IoT experience with smart IoT sensor devices, IoT middleware platforms, IoT application software solutions, cloud hosting, and new business models. Anuj also brings over 20 years of diversified international experience to the table, which he accumulated during assignments in Japan, Singapore, Germany, and India. Anuj is a guest author for the Bosch ConnectedWorld Blog. Connected mobility – the seamless interconnection, communication, feedback and processing of information among vehicles and infrastructure – is being touted as the future of transportation. Like any technology with a far-reaching impact, connected mobility is being rolled out in stages – starting with modern-day cars. Connected mobility has started improving the mobility experience in modern cars by providing multiple forms of driver assistance such as accident prevention, emergency call, vehicle health management, remote control, and usage-based insurance to name just a few. For these new features and their benefits to become widely available, scaled adoption is required so that businesses can offer them at affordable prices. Car manufacturers can explore and prioritize connected car features sought after by the general public and make them available as a standard feature in the next version. This feedback loop can become the most important driver for accelerating and mainstreaming connected mobility. Infotainment: The infotainment features offered in today’s cars are essentially based on a dashboard-mounted tablet computer connected to the internet. This provides seamless access to infotainment contents through partnerships and subscriptions. 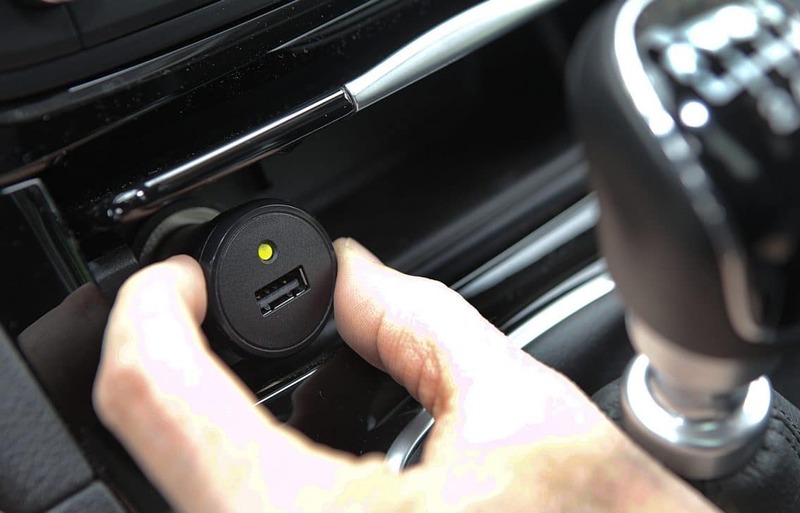 In addition, it can convert the car into a Wi-Fi zone to which the passengers can connect multiple devices. These features are provided as retrofit solutions by technology and telecom companies. Smartphone ubiquity and related capabilities have been converted into retrofit infotainment solutions by Apple and Google with their respective CarPlay and Android Auto offerings. Telecom companies such as Verizon and T-Mobile have also come up with solutions like Hum and SyncUP DRIVE, which can help convert cars into Wi-Fi zones. Padmakumar is a consultant based out of the Bangalore office of Robert Bosch Engineering and Business Solutions. He joined Bosch as part of the Junior Managers Program after completing his MBA in Marketing and Strategy. At Bosch, he has focused on the Internet of Things and was instrumental in setting up Bosch’s smart city business in India. As an IoT enthusiast and a strategy practitioner, his role is to help Bosch enter new markets with new products. He is a guest author for the Bosch ConnectedWorld Blog. Telematics: Telematics has a broader scope and involves benefits such as emergency call, vehicle diagnostics, roadside assist, usage-based insurance, and remote control of the vehicle. This is usually achieved with the help of a retrofit device that functions in a standalone mode or a hybrid mode with the aid of a smartphone. All these functionalities provide real value to the driver in the form of timely help, advanced notification, route guidance, and cost savings. The retrofit emergency call service provided by Bosch Connected Devices and Solutions fits into the car’s 12V adapter and acts as a guardian angel, by automatically coordinating timely help, in case of an accident. Roadside assistance companies have devices installed in cars that will communicate fault codes and location accurately so that the company can send the right helper with the right tools. Car insurance startup company Metromile offers usage-based insurance with the help of a mileage-calculating OBD device retrofitted to the car. Data-enhanced automated functions: The functions in this complicated domain can mostly be provided only by the car manufacturer, as it involves tapping into multiple embedded sensors and interpreting the data using complex algorithms. Retrofitting can plug the gap in the other two areas. Retrofit emergency call solution by Bosch Connected Devices and Solutions. The solutions described above have brought more inclusiveness to the connected car ecosystem. Thanks to retrofit solutions, cars can now be upgraded into connected cars at a very low cost. In turn, this has resulted in an increase in demand for services like emergency call and usage-based insurance, further driving down prices due to scale. Connected cars are to cars as smartphones were to classic cellphones. Today, it is estimated that one-third of the global population uses a smartphone. The potential shown by smartphones to revolutionize the way we live and do business sparked this transformation. Subsequent proliferation of companies and offerings accelerated the penetration, culminating in mass adoption. This lowered the prices for all stakeholders, and humanity as a whole benefited. Connected cars can provide the same future where everybody benefits, and retrofit devices can bridge the gap and help quicken that journey. The post How retrofit devices facilitate the adoption of connected mobility appeared first on Bosch ConnectedWorld Blog.